Alexander, William and Chris have much to declare in this talk about Our Man in Tehran. 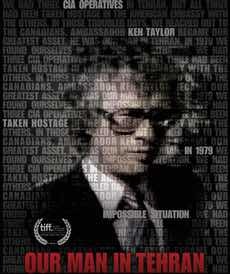 Unavoidably, they compare the documentary about the 1979 Iranian hostage crisis against the Oscar-winning movie Argo. Who is the real hero: Gordon Pinsent or Batman? IMDb links to the movies and TV shows mentioned in this episode are here: Our Man in Tehran, The Hurt Locker, Zero Dark Thirty and Vietnam: A Television History. 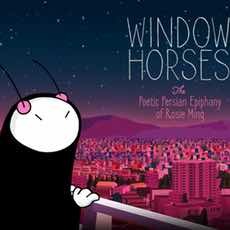 Taylor Ramos and Tony Zhou join William and Alexander to chat about Window Horses (The Poetic Persian Epiphany of Rosie Ming). Ann Marie Fleming's animated feature opened theatrically in Canada on March 10. Listeners note: Plot spoilers at 34:00-36:00 and we analyze the movie's ending around 49:00-52:30. Follow these links to the movie's IMDb page and official site.